As fast as it is beautiful, the Hanse 370 is designed for excellent performance and ease of handling. The standard performance keel makes for great upwind performance and good stability. The lines are sleek and powerful and the cockpit is wide and deep, making it comfortable and safe for crew on the race course or out with the family for the weekend. All of the sheets are led back to the safety of the cockpit. As with all Hanses, the self-tacking jib, tacking is just a run of the wheel, so short tacking up a narrow channel is a piece of cake. The teak decks and cockpit provide safe, sure footing and are visually pleasing as well. Sailing boat in perfect condition and ready to cruise! A Must See for a quality 37' used sailboat. 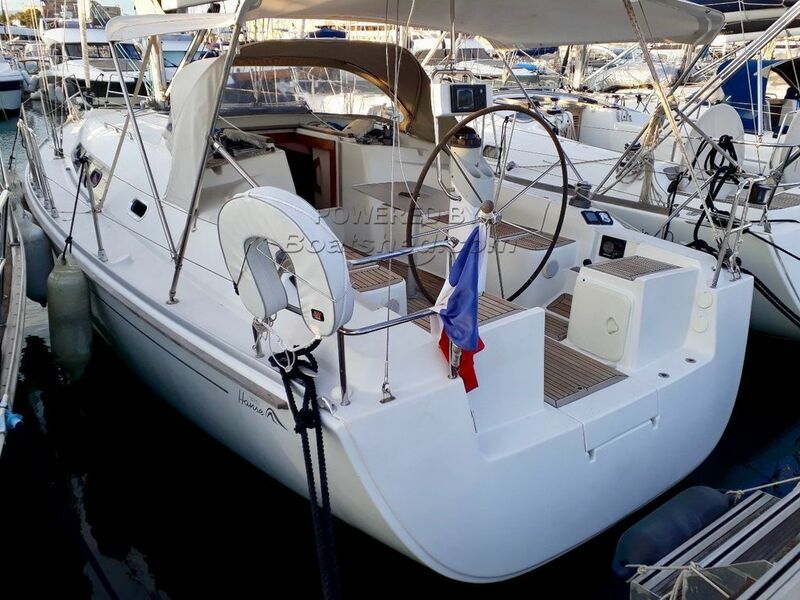 This Hanse 370 has been personally photographed and viewed by Antoine Perrin Daragon of Boatshed Riviera. Click here for contact details.